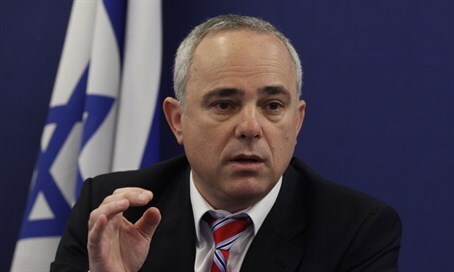 Energy Minister Yuval Steinitz (Likud) on Monday commented on Turkish President Recep Tayyip Erdogan's surprising comments earlier in the day, in which he said there is much to gain from "normalization" with Israel. Steinitz reasoned that Erdogan's statements are connected to the controversial gas deal Israel's government just passed. "I have no doubt that the Turkish president's declaration regarding his desire to improve relations with Israel stems, among other things, from the advancement in recent months of the gas deal, and from the recognition of countries in the region that in a few years it will be possible to obtain natural gas from the reserves Israel will develop," said Steinitz. Strengthening that appraisal is the fact that Erdogan's comments come even as Turkey is wallowing in massive sanctions from Russia - which provides 55% of Turkey's natural gas and 30% of its oil - after Ankara shot down a Russian jet on the Syrian border last month. Steinitz also hinted that other regional countries are interested in purchasing natural gas from Israel, despite long standing animosity. "Alongside the signs and messages received in the last few months from countries in the region, this is an additional example of the positive contributions of the gas resources to Israel's diplomatic standing," said the minister. Foreign Ministry director-general Dore Gold also commented on Erdogan's words, saying, "Israel has always desired stable relations with Turkey, and is constantly examining ways to reach that." However, Erdogan said Monday that several main sticking points in the potential rapprochement remain - including Israel providing compensation to the "victims" of the infamous 2010 Mavi Marmara flotilla incident, and its lifting the naval siege on the Hamas terror stronghold of Gaza. The flotilla led to a total breakdown of ties between Israel and Turkey, and in the meantime Erdogan has led his nation to be more Islamist. In the Mavi Marmara incident, elite IDF soldiers were forced to board the Turkish Mavi Marmara ship, which ignored repeated warnings to stop its attempt to breach the maritime blockade on Gaza - a blockade that is legal under international law, and is meant to stop the influx of weapons to terrorist groups. The soldiers were brutally attacked by IHH Islamist extremists on board wielding knives and metal bars, and had no choice but to open fire, killing ten of the IHH members on board. After an investigation, Israeli authorities discovered the vessel to be carrying no humanitarian aid, despite the flotilla's claims that it was on a "humanitarian" mission. When Israel refused Turkey’s demand that it apologize for the incident and compensate the victims’ families, Turkey cut ties with the Jewish state. Prime Minister Binyamin Netanyahu later apologized to Erdogan over the Marmara incident, at the urging of the United States. The sides were supposed to enter talks on compensation for the victims of the Marmara, but despite reports indicating Israel was offering extremely high sums of tens of millions of dollars, those negotiations have stalled. Erdogan has a long history of verbally attacking Israel, and vocally supports the current wave of Arab terror in the Jewish state. Seized documents earlier this year showed Turkey cooperated with Islamic State (ISIS) by buying black market oil from it across the Syrian border.